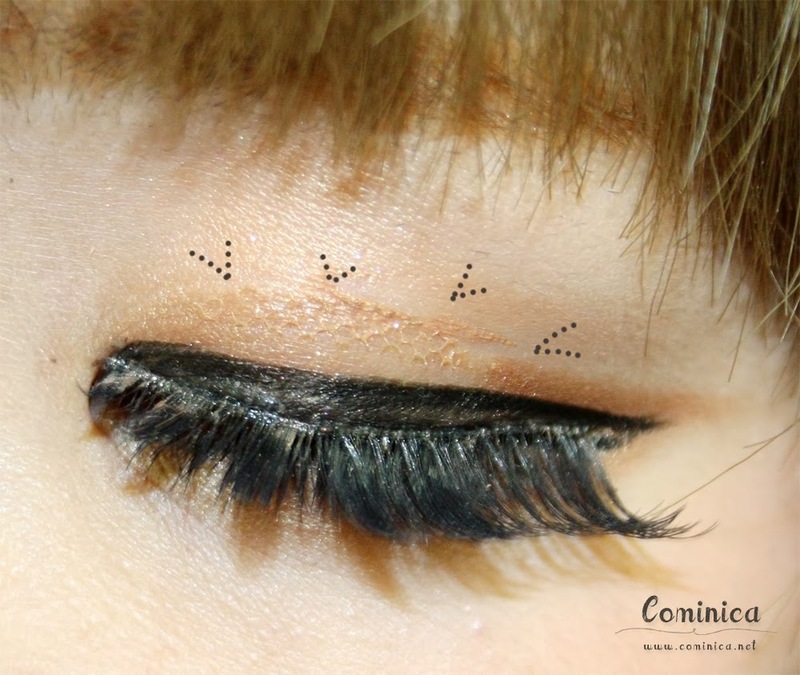 '♔ Cominica Blog ♔: New Way To Have Bigger Eyes! You probably wondering why this eyelid tape is not look like an eyelid "tape"? ✧ First, we need to take the eyelid net which already shaped on the transparent card and measure it to our eyes. I usually cut the net again to fit my eye size cos it is too big and too wide. ✧ Then put the glue on one side of the eyelid net, the glue is very sticky so make sure to directly put the sticky side on our eyes. Then we can move the net a little to adjust the position, different position deliver a different result. 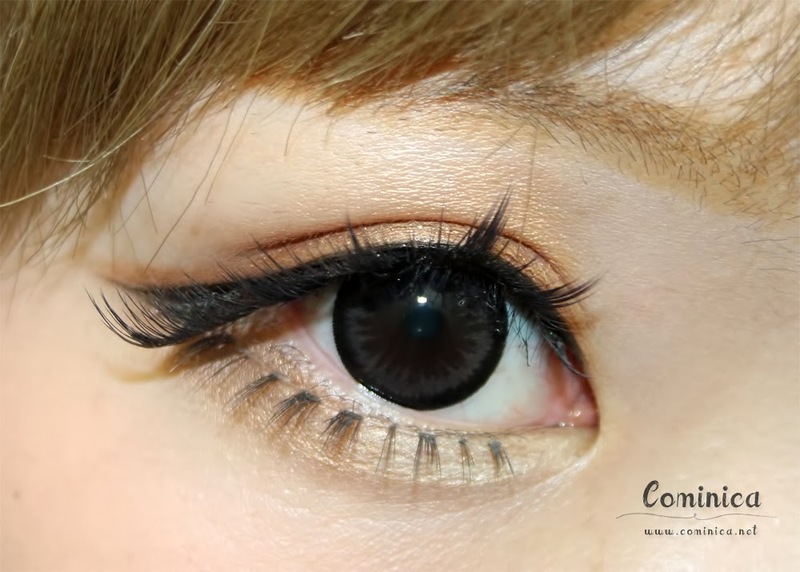 ✧ One thing I really like about this eyelid net is it looks invisible. I look like I'm not wearing any eyelid tape, it is not shiny and very very thin. ✧ And remember don't put the glue too much! Only a thin layer will do! The glue is very sticky and becomes hard after dry, so the net becomes dry too but still stick to our eyelid. It can stay all day without detached on my eyelid. The glue is a bit strong so if you have sensitive eyes, please close your eyes when you put the eyelid net. To remove the net just clean it together with lip and eye remover. After that you can wash your face with warm water to completely get rid of the leftover glue. I think after i read your blog iam gonna try it .. It lookd nicenice on u .
Amazing outcome. I don't usually use eyelid tape but did use them in China once or twice. Actually, the makeup artist did it on me - was for one of those self-indulgent photos - and they made my eyes POP. Good job with yours. You look great. Oooh! I agree with what someone has said before; it's a very natural result, which is perfect! Natural and pretty just perfect! wow it looks amazing indeed*_* I think this version looks more natural than the ones I've seen before. Your eyes definitely look bigger, but one thing in the pictures that worries me is that I can see the fishnet pattern, so that def shows up. At least it's not shiny, though. Looks great~ amazing how it isn't very visible on the eyes! I've seen this eyelid tape reviewed by lots of other beauty bloggers and I'm so tempted to buy it! It looks amazing! One question, can you reuse the eyelid net, or does it break apart when you remove it? 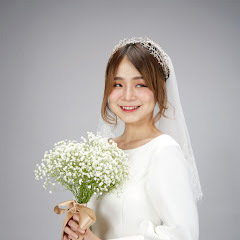 Hmmm selain beli online di kkcenterhk gak ada lagi ya? Gak keliatan kaya pake scott! 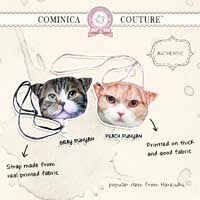 Waaa mesti nyoba niihh.. Gue juga lagi keranjingan eyelid tape! hahaha.. Thanks for the review, comi! I'm trying this double eyelid tape out and the famous d-up one!